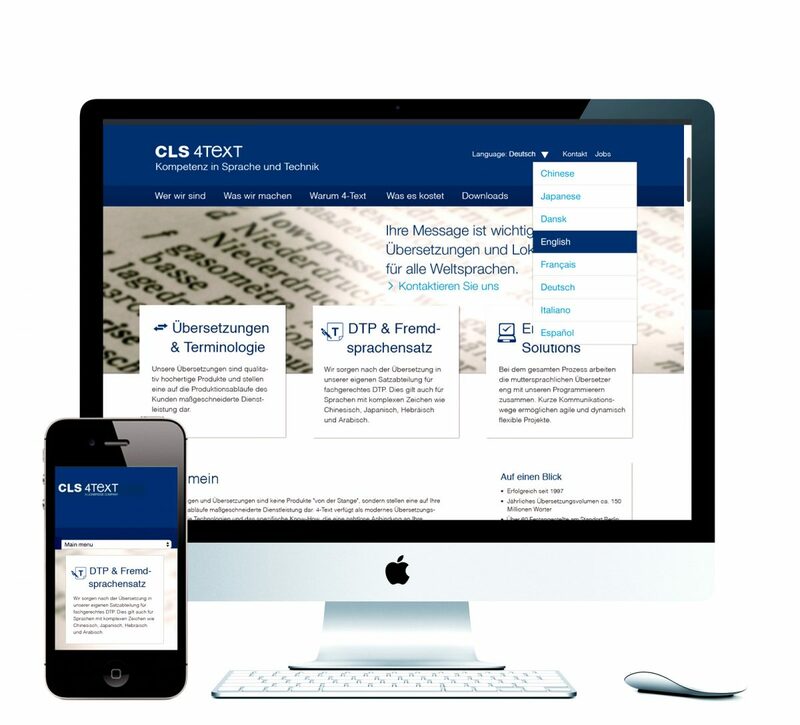 The international service provider CLS 4 Text is specialized on localisation and translation. CLS 4 Text offers custom-tailored production processes as a service and has the technology and necessary know-how to guarantee a seamless integration into the customer´s method of production. The fusion of the companies CLS Communication and 4Text demanded an evolutionary redesign following the guidelines of both styleguides. Additionally a new icon set depicting the area of operations has been designed. ZSUWD has realized the redesign in collaboration with Berlin´s Drupal specialists Meyermisginmedia.